DAPRA’s technical expertise and customer support enhance product value and performance. 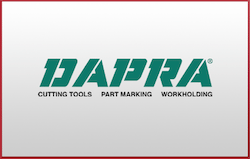 For more than 50 years, DAPRA has been in the business of providing innovative applications-based solutions to help you maximize your metalworking productivity. Our application experts are ready to offer you a complete solution for all your productivity requirements, including a variety of economical, low-stress, permanent dot peen marking systems. Laxcen is the leading RFID inlays & tags manufacturer with headquarters located in Hong Kong. With our strong design & engineering team, Laxcen is committed to providing high-quality, custom-designed RFID label products, specializing in UHF, HF, NFC, SMART CARD and metal tags, to our global clients. Our products are widely used in logistics, retail, apparel, identification, aviation, ticketing, asset tracking systems. A leader in the identification products industry since 1950, Metalcraft manufactures a variety of customized asset tags including UID tags, bar code and/or serialized tags for asset tracking and/or identification, and RFID tags – including harsh environment RFID tags and a variety of metal mount RFID tags – for RFID asset tracking. InfinID Technologies Inc. provides a comprehensive range of professional services to ensure your RFID initiatives are successful. Whether we’re helping you understand the complexities of a customer mandate or the physics of RFID, our experienced professional services team can help guide the way. Our name says it all: inkjet is the trusted authority for all your printer supply needs since 1997. With thousands of ink cartridge sellers to choose from, it can be daunting and challenging to find what will satisfy your needs. All inkjet cartridges go through a rigorous 9-step process that includes cleaning, replacing old components, and ultimately through testing. Phoseon Technology is the leader in UV LED solutions for life sciences and industrial curing applications. With expertise in LED light engines across a wide range of wavelengths, Phoseon Technology is the premier partner to solve new challenges in life sciences instruments, healthcare and advanced imaging. Ricoh delivers products, services, and solutions to help companies make the most of their information and work faster, smarter, and more successfully. Specialties include: document workflow solutions, office printing and imaging equipment, production print solutions, audio visual collaboration technologies, and more. Domino offers digital printing solutions that are designed and engineered to minimise operator intervention and maximize throughput. Domino provides print high-resolution variable data such as bar codes, serialisation, 2D codes, QR codes, addressing, personalisation, graphics, and more at the speed of light…with unmatched quality. Leibinger USA offers integrated solutions for industrial marking technology and the printing industry. For more than six decades, this company has been developing and producing numbering machines, camera verification systems and inkjet printers and selling them in more than 150 countries throughout the world. Marking Methods, Inc. specializes in offering high quality Electro-Chemical equipment, supplies and part-marking services. Products and services also include dot peen marking and equipment, laser marking and engraving, and vibro etch marking. Cognex provides instant improvements to manufacturing through advanced machine vision and industrial barcode systems. Cognex helps to increase productivity by allowing expedited manufacturing speeds while eliminating defects and reducing production costs. Polyonics manufactures specialty coated films and products such as label materials, flexible substrates, adhesive transfer tapes, reflective substrates and laser markable materials. Their products are designed to provide additional functionality and to withstand the elements of harsh environments. 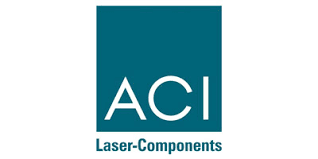 ACI Laser GmbH is an innovative company in the field of laser technology. The company has been developing, producing and selling compact laser marking systems since 1999. Our long-standing experience and permanent focus on market requirements has enabled us to become a leading manufacturer of laser marking systems worldwide. With a total of four different wavelengths, our portfolio covers all the major areas of marking applications. In addition to flexible Nd: YAG lasers, also fiber-, CO2-, UV- and green lasers are part of the product range. The extremely compact, all-in-one structure of ACI equipment means that everything that is required to operate the laser components is integrated in a single housing. Depending on the application, the air-cooled lasers can be used as a manual workstation or for integration into a production line. In combination with one of the various protective housings from ACI, a separate manual workplace in accordance with laser protection class 1 can be speedily set up. JETEC Corporation offers contract part marking services and labeling solutions for clients in aerospace, automotive, manufacturing, medical, and pharmaceutical industries worldwide.